That's pretty much my excuse for getting out of a lot of things lately. Is it still called an "excuse" if it's true? I don't know why I am so tired lately. I should be getting used to the occasional (slash...nightly) little boy awakenings at night by now. Or maybe it was that amazingly fun, jam packed 5 day weekend that I spent in South Florida with my sisters...Those Haynie girls sure know how to party, let me tell you! But now I kind of need a relaxing vacation to off set all the fun!? More on that later. Either way, I have managed to find a little energy for my Friday Finds post today. 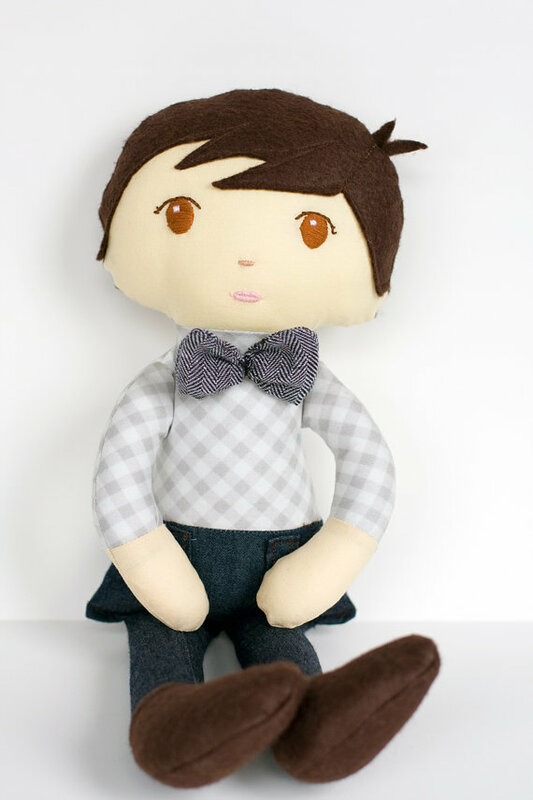 Softie dolls, and more specifically, softie dolls for boys! 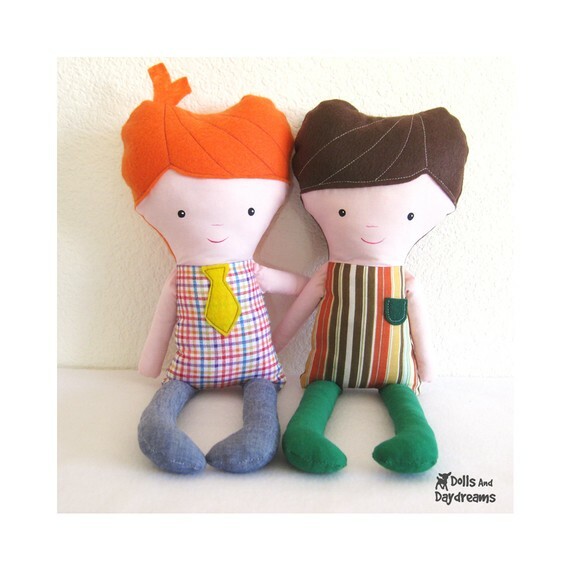 Today I finally did a little research and finally found these cute boy softie dolls on Etsy! Now I just have to figure out whether I should make them or just buy one? Happy Friday every one! Curt is going camping with the boy scouts so we're making a "girls night" out of it with my mom! Dinner and watching The Help! If only Ande could have joined along with the big boys on the campout! I used to love having a girls night when Matt was the scout leader in our last ward. Have fun! Does Matt want to come camping?